An inspiring mix of dance, music and film, Director Talia Shea Levin and Dancer/Choreographer Alexis Floyd combine forces for dance short E T A – the story of a woman who emerges from her cocoon of isolation to embrace the power of unity to be found in connection and community. DN asked Talia to reveal how the message of community as a peaceful weapon against the threat of division depicted on screen became the creative fuel which powered all aspects of this collaborative production. 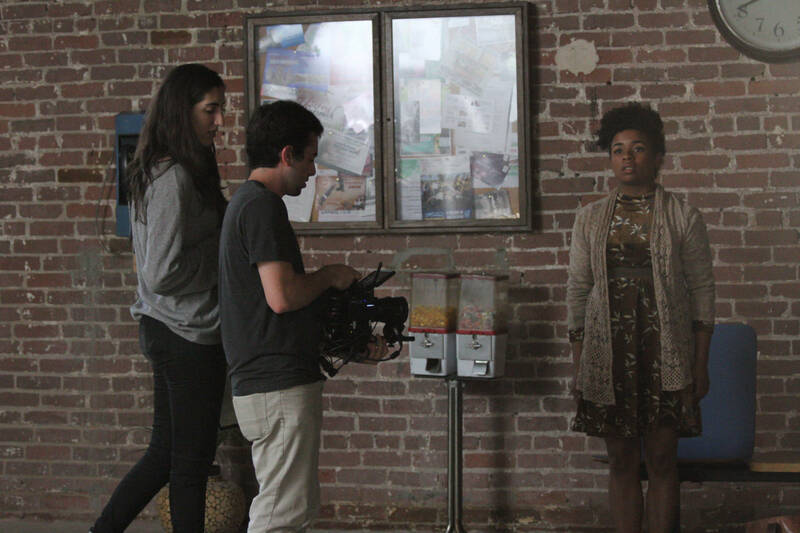 Co-creator Alexis Floyd and I had a transformative experience working together on our first dance film to an Alabama Shakes’s song, Gimme All Your Love. On this one we wanted to add a new dimension by working with an original song she would write and perform for the film. The both of us were facing a period of life where it seemed we were waiting around for something to happen. The uncertainty made us feel isolated from those around us but we knew this was not an uncommon feeling. We wanted to find a way to evoke our desire to connect and create with others experiencing similar states of being; connectivity as a solution for what to do with all the time we spend waiting. We landed on a story of a woman in transition who feels isolated from the women around her until she decides to fight her self-doubt by reaching out to them to create unity. I went off to write a script, while Alexis wrote and recorded a demo of her song, Enough, and I then incorporated the lyrics of the song into the screenplay. We finalized key elements – the story and the song – throughout the end of 2016. Then we began hard prep in January 2017 with production taking place over 3 days in early February. 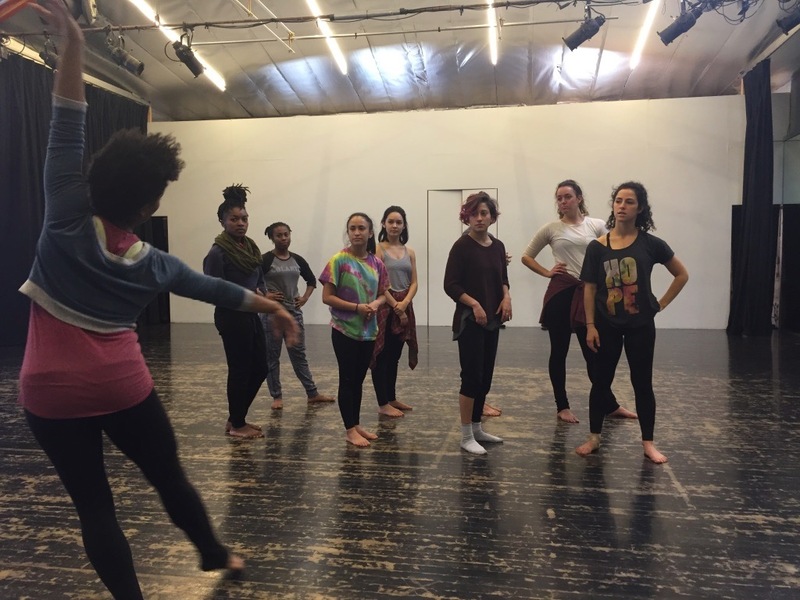 We reached out to SiZa Dance Company, led by Artistic Director Lyndsi Zapata, and began rehearsing the dance, choreographed by Alexis, with that amazing group of women. It was important for us that we build a community around the making of this project as strong as the one the lead character finds on screen. We also pulled on friends and family to record a studio version of the song, then got to work on the rest of prep. Other department heads came on to build up the cinematic language needed to complement the dance and music. Our main challenges throughout the process were to distinguish the ‘reality’ world from the ‘daydream’ moments all within the same location and to create character using movement instead of dialogue. Costumes, production design, and camera movement worked like instruments in the song, or movements of the dancers’ bodies, all performing together to tell a story. It was important for us that we build a community around the making of this project as strong as the one the lead character finds on screen. We shot the majority of the film on a RED Raven with Rokinon lenses. Our goal was for the camera movement to follow a narrative progression of its own. The sequences in ‘reality’ have lateral movement and are overall simpler and more open than the ‘daydream’ portions, which are more freeform. For those ‘daydream’ sections the camera dances with the women on screen, focusing on details of their movements and expressions so the viewer is caught up inside their experience. I’ve been working with Cinematographer Kevin Stiller since college and he shot our Gimme All Your Love dance film, so we had a strong foundation of trust and good communication that became essential during our quick and challenging shoot. I love production more than anything – there’s nothing like the energy of a set – but this project really came together in post. Editor Roger Bacon, who has a good deal of music video experience, worked tirelessly with me to construct the story from all its various elements. The transitions between the ‘reality’ and ‘daydream’ worlds are key pivot points and are what, along with our distinctive process, I think distinguishes this film from a standard music video. Those took a lot of trial and error to get right. Then came sound. It was my intention from the start to add another layer of life to the world of the film by incorporating diegetic sound to supplement the music. Breaths and footsteps are sparse and echoey in the ‘daydream’ world, whereas in ‘reality’ they are more solid, less frequent, and complemented by laughs or other warmer signs of humanity coming together. We were lucky enough to mix on a stage at Technicolor, an incredible experience for a little film like ours, and also what we needed to craft this complex sound landscape that is unique for a dance film. The 2016 U.S. election lit a fire under us. Connecting with an energized community of creatives to tell this story was a way to turn our anger and disillusionment into action. Alexis and I hope that E T A spreads some connection wherever it goes and leads to more collaborative dance film or music video explorations of storytelling through movement. There are so many ideas we want to tackle! I am currently in post on a short narrative film I wrote and directed. It is a road trip time travel story shot on 16mm in the Northern Nevada desert – adventure filmmaking at its best. Meanwhile, you can catch Alexis in a recurring role on Season 3 of the Freeform show, The Bold Type! E T A is one of the many great projects shared with the Directors Notes Programmers through our submissions process. If you’d like to join them submit your film.